Journalists were attacked at Pamba by anti-women protesters when they had gone to cover agitations near Sabarimala temple. Mumbai: Protests have intensified in Kerala hours ahead of opening of the Sabarimala temple where women of all ages will be allowed to enter the shrine for the first time. 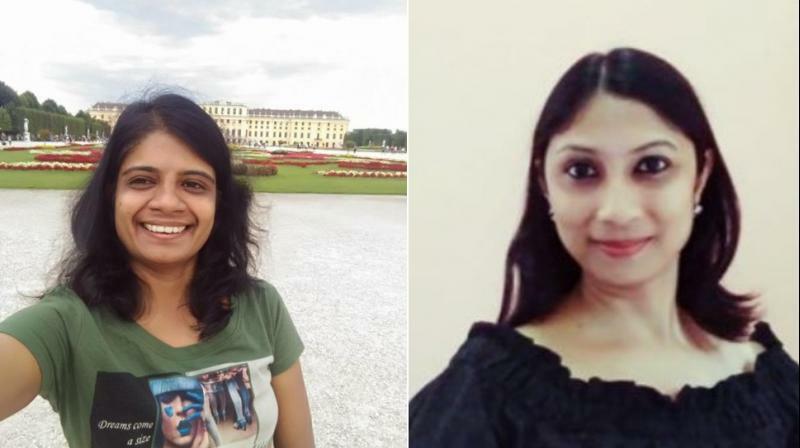 In the latest turn of events, two women journalists -- one from The News Minute and the other from Republic TV -- were attacked by anti-women protesters when they had gone to cover the agitations near Sabarimala temple. Reports said personnel from News 18, CNN-IBN and Aaj Taj were also targeted. The shrine of Lord Ayyappa, traditionally closed to women of menstruating age between 10 and 50 years, opens its doors to women today after following Supreme Court verdict last month. According to The News Minute report, the anti-women Sabarimala protesters had attacked reporter Saritha S Balan in Pamba. The reporter was on a state transport bus that was carrying devotees to Sabarimala, when a mob of 20 men -- allegedly belonging to Karma Samithi -- surrounded the bus and tried to pull her out. The report added that Balan was verbally abused and physically attacked. One person in the mob had kicked her on the spine. The report said Saritha, who is now at a police station, is surrounded by the goons who call themselves devotees. In a tweet, Republic stated, "Mob of 100 smash car, attack Republic TV's South India bureau chief Pooja Prasanna". The mob of anti-women Sabarimala protesters had snatched batons from the police and attacked the television crew. Prasanna is safe. The Supreme Court last month lifted centuries-old ban on women of menstruating age -- 10 to 50 years – stating that they must not be barred from entering the shrine. After the verdict the doors of the temple will open today. Lord Ayappa, the presiding deity of the temple, is considered to be celibate by the devotees. On Wednesday morning, two women, who were among the first to begin the trek to the temple, were stopped by protesters mid-way and were forced to return by the protesters.